With network security threats from cyber criminals and organized hackers growing exponentially, your business data is at risk. 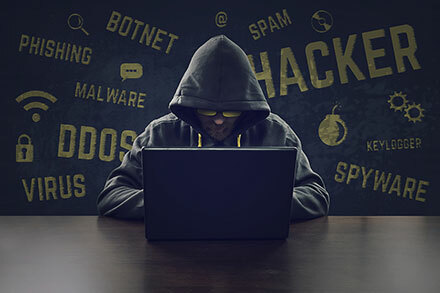 We perform advanced network security testing to identify and demonstrate vulnerabilities, establish actual risk and validate security against the simulated attacks to meet compliance standards before the attacker does. Some of the tools we use to audit your network are advanced and used by hackers to break into networks, such as Kali Linux. Are you ready? Why should I hire NexaCore IT to perform our security audit? We have years of experience recognizing vulnerabilities and risks to networks and systems. To beat a hacker, you have to think like a hacker. That is why our engineers who carry out the security audit are Certified Ethical Hackers. They also have a genuine interest in security and keep up with the latest vulnerabilities and attacks in the news. The security audit will also make sure your PCI compliant. We can do this separately, but recommend a network security audit which will include the PCI compliance as well. Since each business is unique, will usually want to speak with you over the phone or meet with you on site for a free evaluation. Once we have an idea of your infrastructure, we can provide you with an accurate quote. What we can tell you is that it is far cheaper to make sure your company data is safe than spending thousands trying to clean up the aftermath. Do you give out free security advice? Absolutely! You are more than welcome to look through our blogs which have several security-related articles. More often than not, we start the simple things. We’ll have you recognize the role of your staff in your IT security plan. Make sure you’re using strong passwords and not reusing those passwords at other websites. Lastly, backing up your data can save you thousands. Make sure you have a good backup in case of ransomware or a failed hard drive. Last, but definitely not least make sure you have antivirus on all your systems.